For the past few months, I have had a delightful time knitting all those projects using cottons and other plant fibers to create all kinds of fun, light-weight items. I am loving the Captiva yarn that we are using for this current knit-a-long shell. But I just have to say that the snow last Friday has gotten me in the mood for knitting with wool yarn. I had started a heavy sweater/coat last year that I have picked up again and am knitting on it every spare moment because I know it will be perfect for a Kansas winter. My daughter, Bethlehem, has just asked me for a new hat. Emily and Taycee are wanting boot toppers. Thaddaeus and Corban each want a knitted blanket. I think I will have Connie Jo help me cast on another pair of socks. The list really does go on and on and you know what? Unlike my usual to-do list of errands, cleaning, etc, a knitting to-do list is a joy! Bring on the cold weather! I don’t know about you but all of us at Yarns Sold and Told have been looking forward to this weekend since the conclusion of the Yarn Hop last year. We have spent the last year discussing and planning how we might make this Hop the best ever. We have our skeins of yarn for the passport shawl ready, we have organized and purchased several kits, Marilyn and Jane saved back some of the great yarn we chose at Market, Cynthia has some new crochet kits and some jewelry kits,and BJ, Connie Jo and I have been baking up a storm! So, great yarn, great friends and great treats – What could be better! It is my personal opinion that there are two obvious ways to enjoy a Yarn Hop! You may go with other yarn loving folks or you can go by yourself! Can you imagine getting in your car, turning on the music, having a cup of coffee in your travel mug and going to yarn store after yarn store after yarn store? Just imagine entering store, after store, after store browsing to your heart’s content without anyone pushing you to hurry. Imagine purchasing all kinds of yarn for projects to knit or crochet all winter long. Sounds like heaven, doesn’t it? Even better, imagine traveling with dear friends like I did (photo shows my yarn hop buddies, Pam Chamberlain, their mother, Helen, me and Vicki Robidou). Friends who love yarn just as must as you do, love to think through patterns and projects like you do and just enjoy laughing and having a fun, fiber-filled weekend. 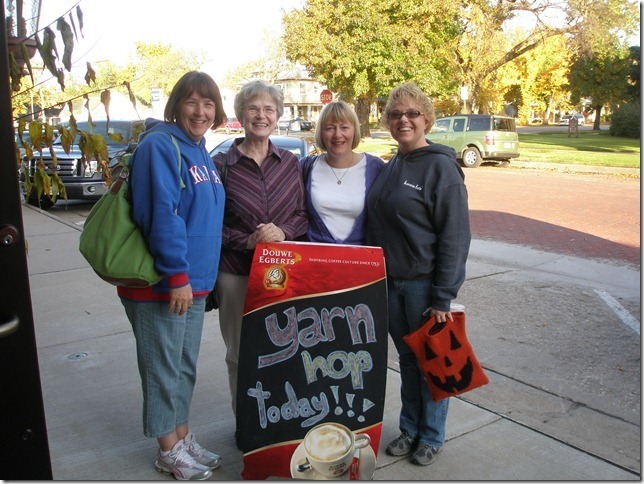 Regardless of how many passengers are in your car, join us for the Central Kansas Yarn Hop Thursday, October 17th through Sunday, October 20th. BJ Spilchal – If there in one thing BJ knows it is yarn! She brings her past yarn store experience to Yarns Sold and Told with her ability to suggest different yarns when needed and help customers design a project that is unique for them. Combining this skill with her just plain love for people, she is an asset to our store. BJ and her husband, Jim, have two sons, one daughter, two daughters-in-law, one son-in-law and five grandchildren. 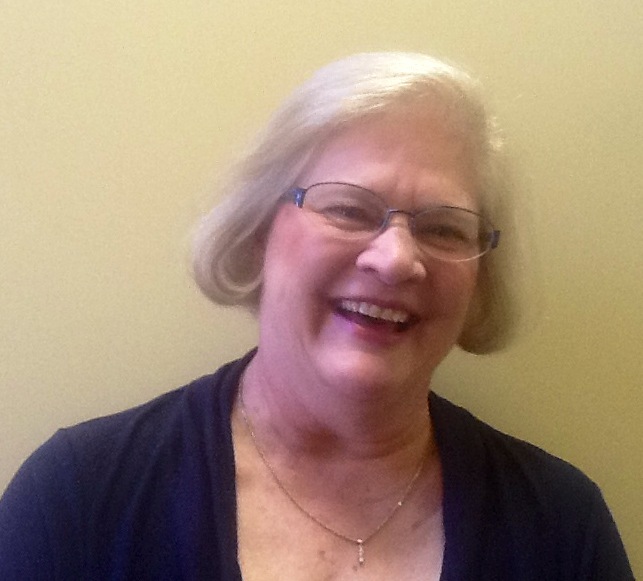 Carla Welsh – Although Carla and her husband, John, have moved to Overland Park, Carla continues to have an active role at Yarns Sold and Told. As an original owner of YARNS, Carla continues to be our bookkeeper, inventory supervisor and best of all, our encourager from afar. She can be depended on for advice and, basically, just keeping us on track in our goal of being the Second Friendliest Store in the Universe. Carla and John are parents of two sons, one daughter, two daughters-in-law, one son-in-law and two granddaughters. 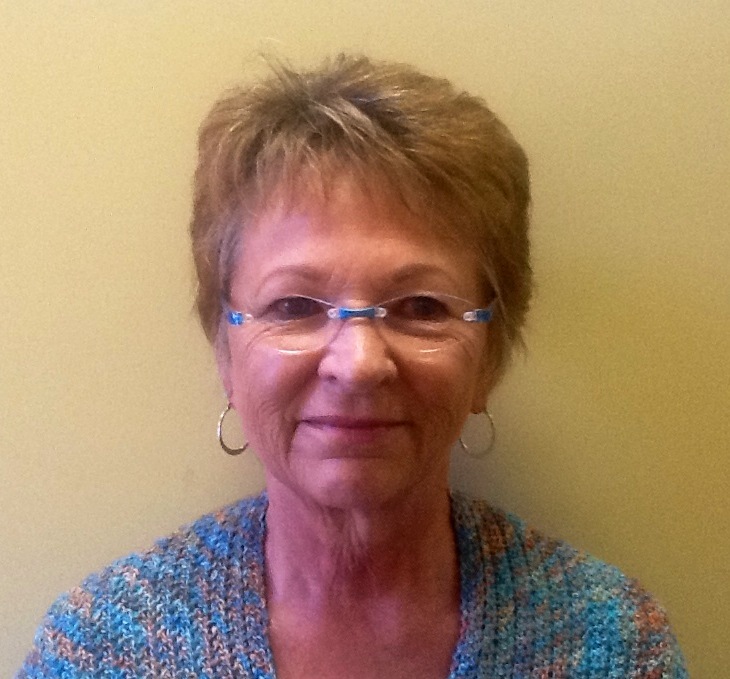 Connie Jo Jensen – Connie Jo is our resident knitting expert. Although she favors knitting socks, Connie Jo is gifted in reading a pattern and making that pattern come into reality. Her vast knowledge of knitting is a gift to all of us! Because she is a really fast knitter, she is also responsible for creating most of the models in our store. Connie Jo can always be counted on for a smile and an encouraging word. Connie Jo and Gary have two daughters, two sons-in-law and four grandchildren. Cynthia Adcock – Cynthia probably knits more than she crochets but we consider her our crochet expert. She is also our expert for repairing projects for customers and finding errors in both projects and patterns. We depend on her for magazine selections, jewelry selection and writing original patterns. Cynthia is also considered our “idea” person in keeping Yarns Sold and Told moving forward. 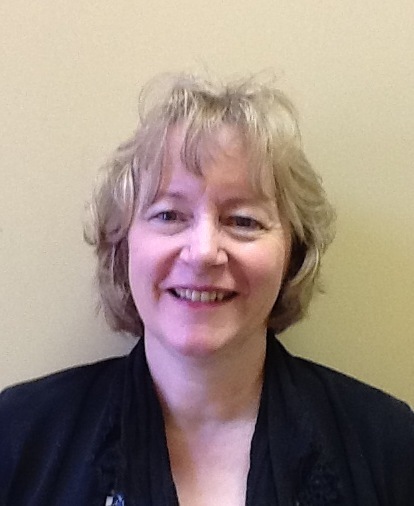 Cynthia and her husband, Jon, have a son, a daughter, one daughter-in-law and four grandchildren. 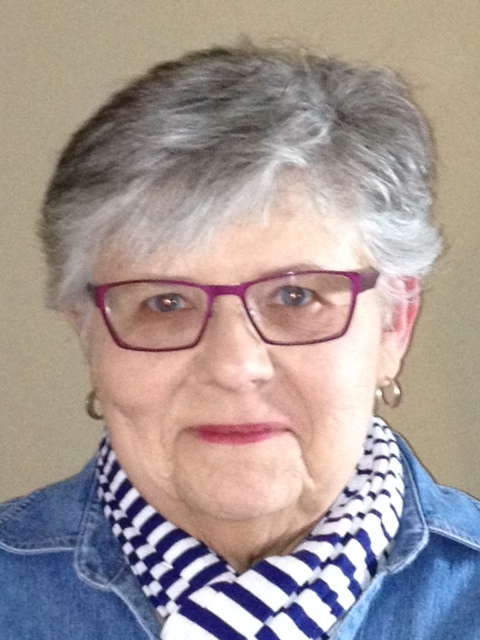 Jane Alsop – As one of the two original owners of Yarns Sold and Told, Jane is known as the person who saw a need in Salina for a yarn store and put the idea into motion. We are forever grateful! Jane’s knowledge of yarn works well in knowing what projects work for which yarn. She also does a wonderful job in teaching our classes and has taught many, many people in our community to knit. 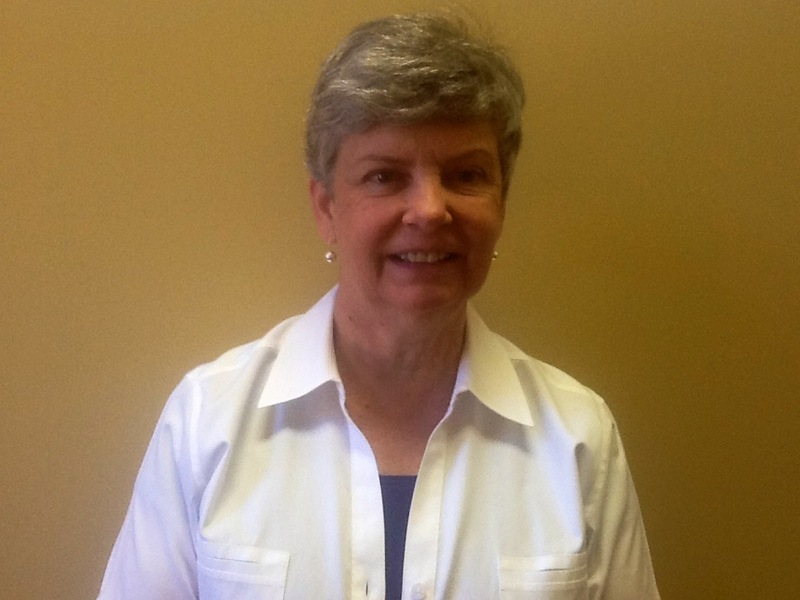 Jane and Bill are proud parents of a son, a daughter, one daughter-in-law and one son-in-law. 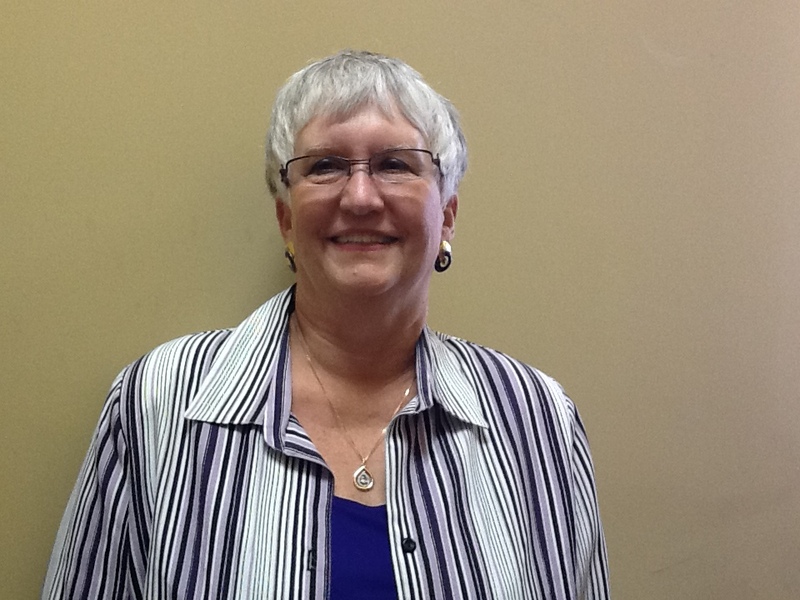 Marilyn Parker – Marilyn is the owner of our store who is our color expert! Gifted in choosing yarn for our store, she also is excellent at helping customers put colors together to make a project that not only looks good together but also looks good on the knitter. Asking her advice in choosing buttons is always a good idea. Marilyn’s expertise in yarn as well as color makes her ideal in assisting customers. Marilyn and her husband, Blaine, have two sons, two daughters-in-law and four grandchildren. 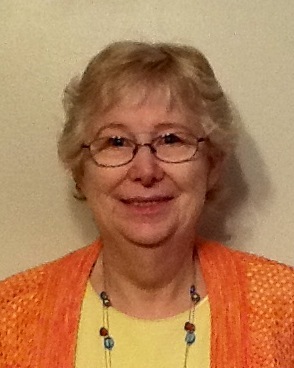 Nancy Romm – Nancy loves to knit but also loves to write, so she is responsible for the newsletter and blog for Yarns Sold and Told. She also accepts all ideas for our store’s windows! Being a homeschooling mother, she considers her time at Yarns as her “day off” and loves every part of the yarn store business. Nancy and Charles have fourteen children, three sons-in-law, one daughter-in-law and six grandchildren. The more I knit, the more I realize how forgetful I am. Therefore, I have learned to make myself all kinds of notes, cheat sheets etc. I always copy my pattern and file the original in my knitting files because I know I will lose my pattern. I always record on the pattern the date, who I am knitting the project for, the yarn used, the needles used, any changes I make and any other notes that might be helpful should I want to knit this project again or even if I need to set the project aside for a time. I keep a knitting journal where I record all these notes because chances are I will lose BOTH copies. I have learned to “read” my knitting as I work on a pattern. I memorize how each row looks after it is knitted because I will probably forget to mark a row off on my notes! However, the most useful skill I have learned through the years and the great amount of projects I have knitted is the ability to “tink” (in case you have never seen that word: in the world of knitting, “tink” means to unknit something because knit spelled backwards is tink) without being upset. Ok, I may be a little unhappy but I deal with it. While it may hurt a little to “tink” my precious knitting, I just remind myself that it would be worse. I could be cleaning house!